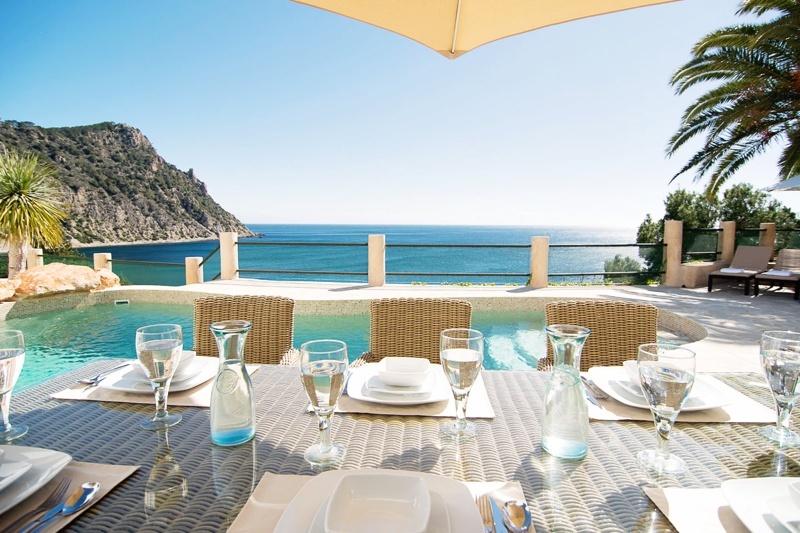 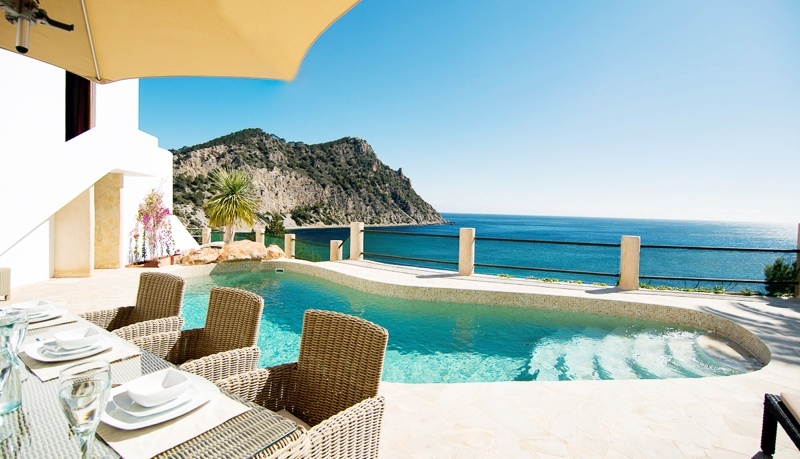 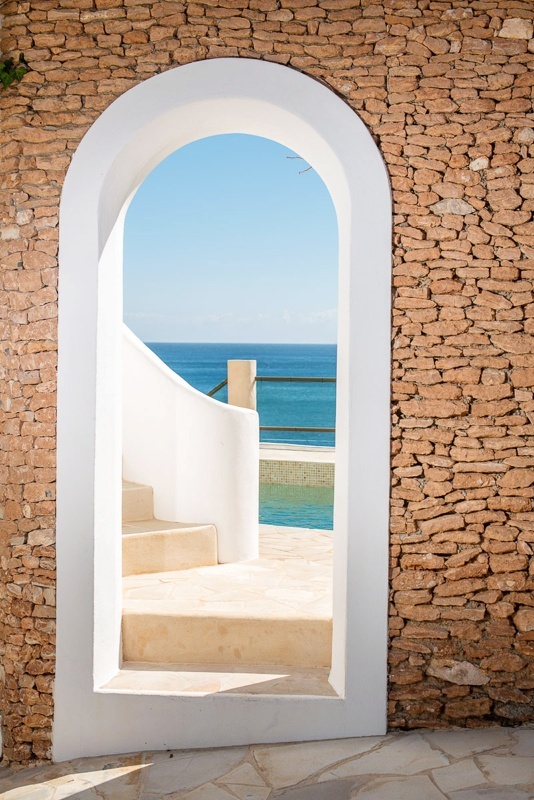 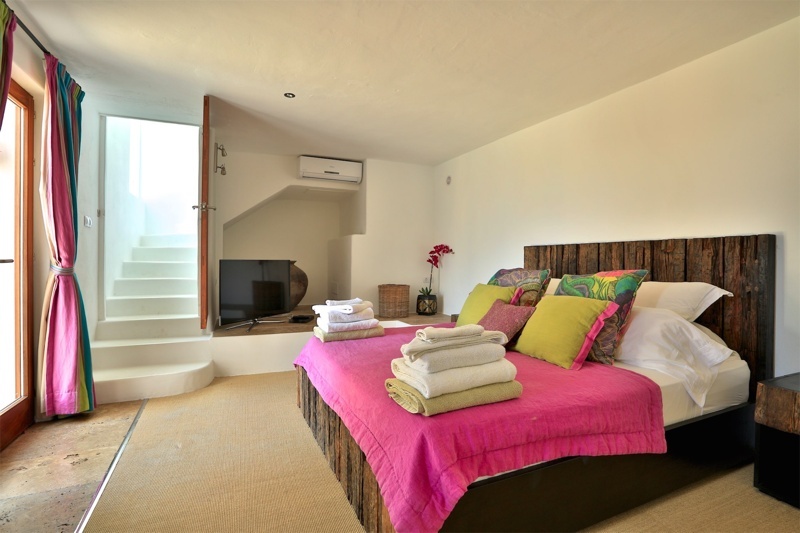 This charming home faces the sea and is a five minute walk to the great beach club Amante. 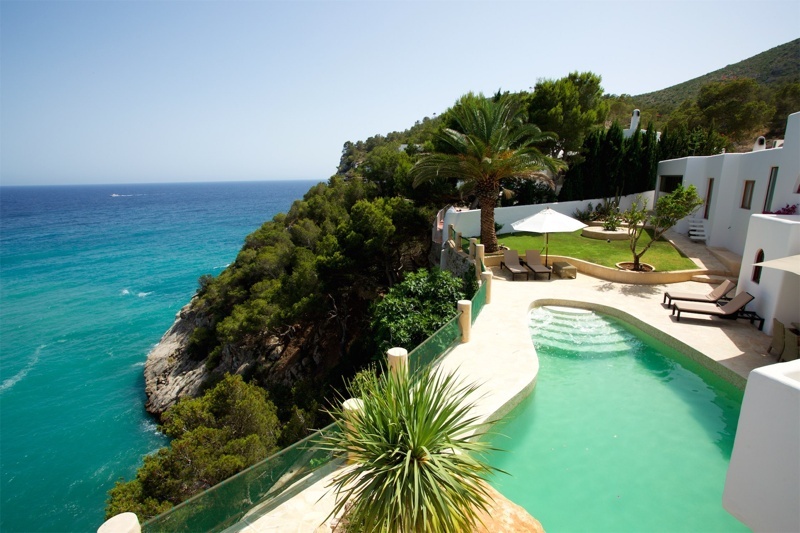 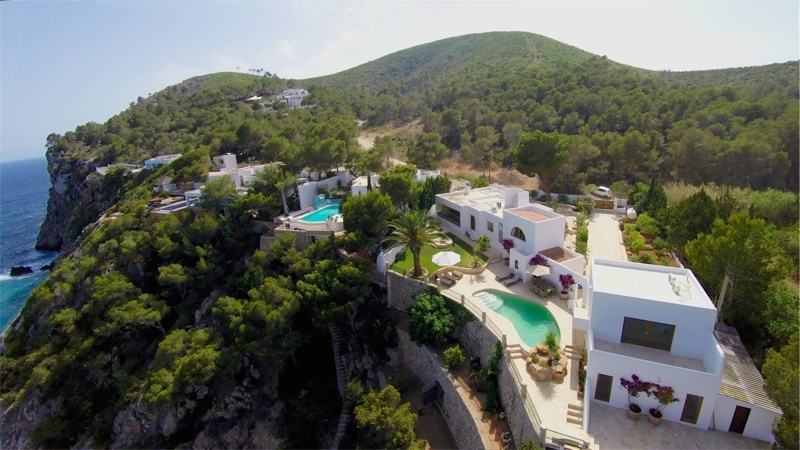 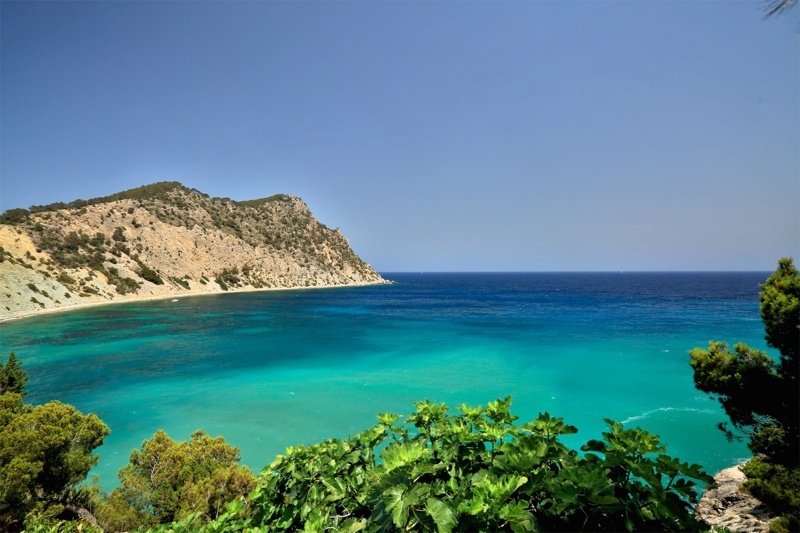 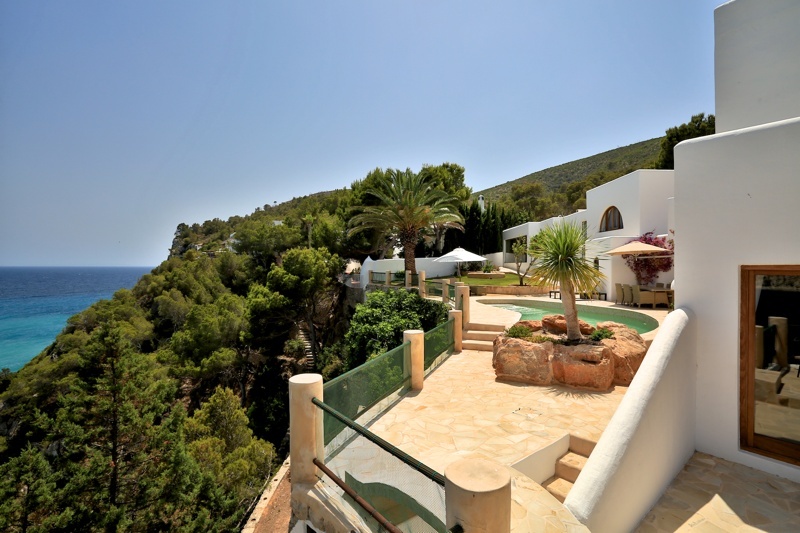 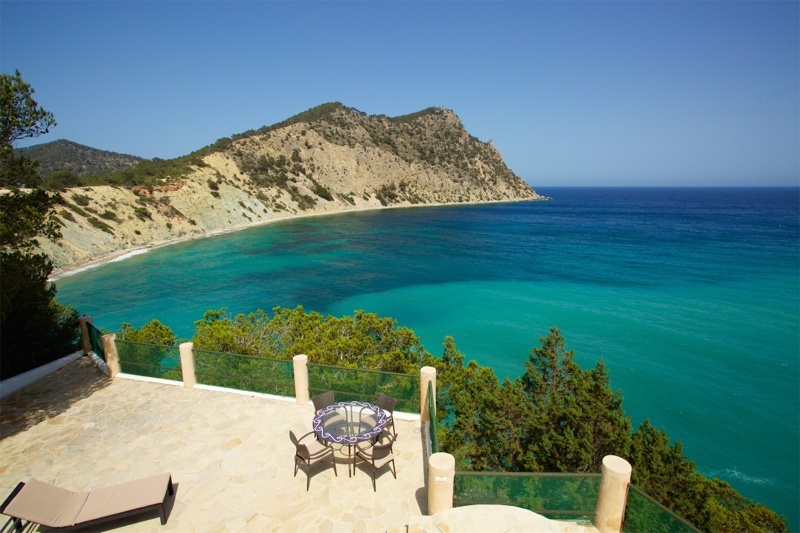 It is also very close to the Roca Llisa golf course and only ten minutes drive to Ibiza town. 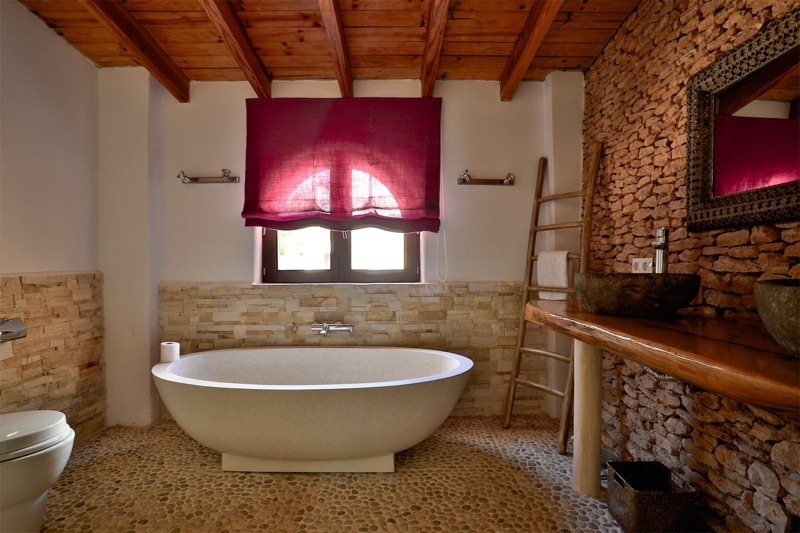 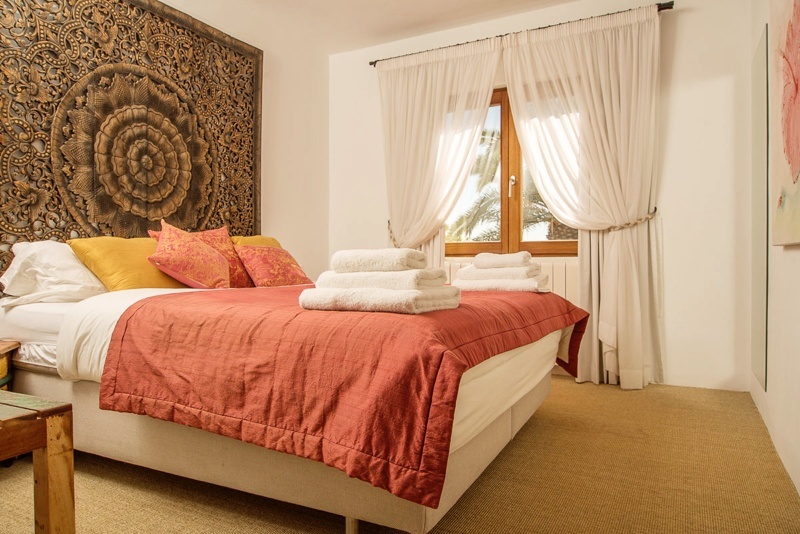 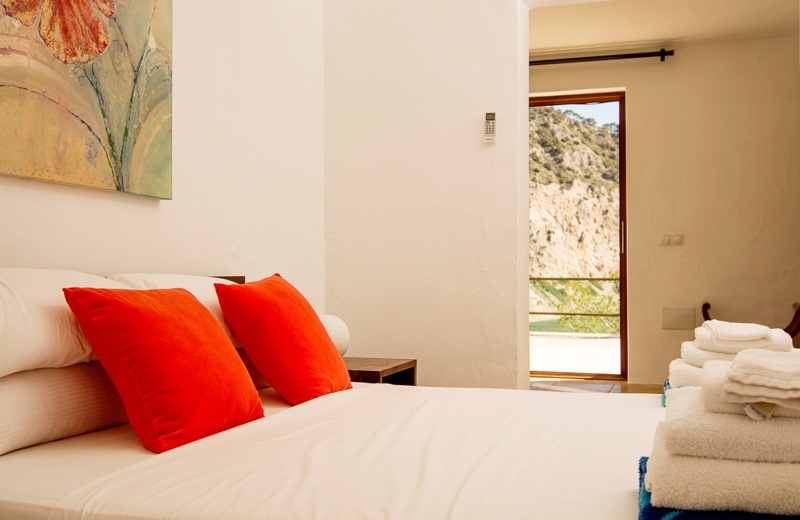 It consists of five bedrooms and is beautifully decorated and has been totally refurbished this year. 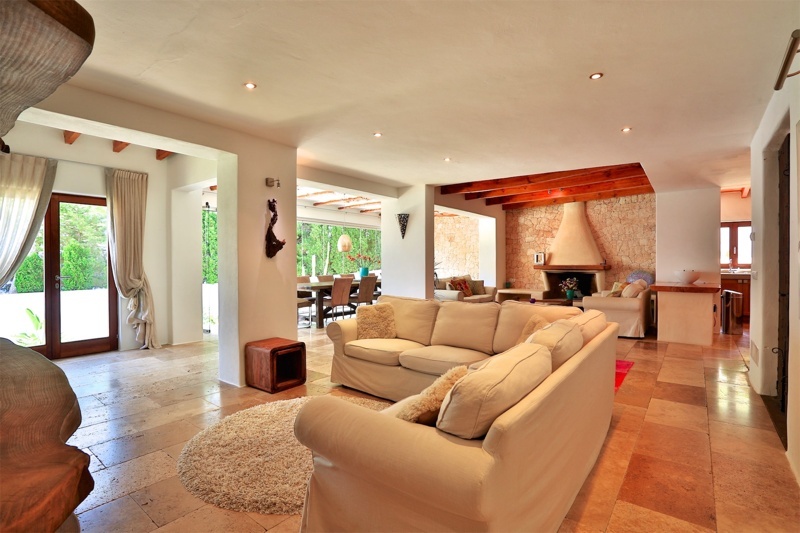 The main house has three double bedrooms, two bathrooms, a large open living and dining area, the entire window front of the dining area can be opened in summer which creates a covered terrace for alfresco dining. 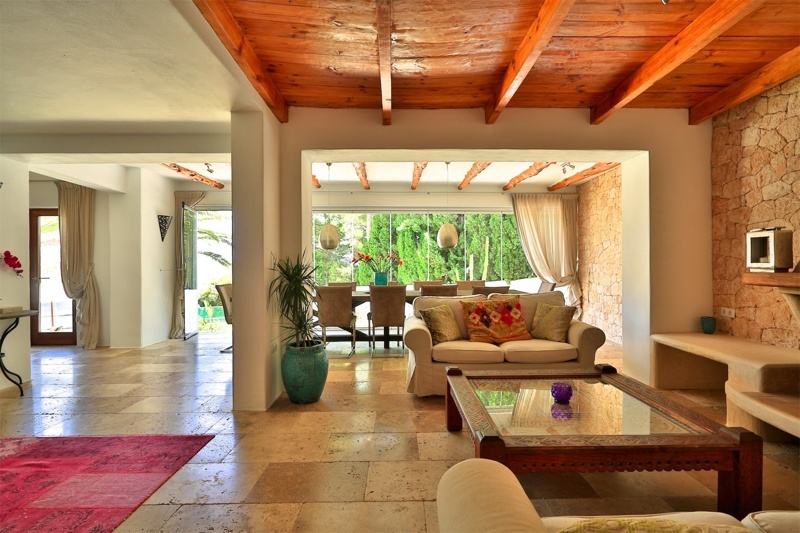 With a beautiful fully equipped kitchen an open fireplace,wireless internet and air conditioning this home makes a wonderful destination to spend your holiday. 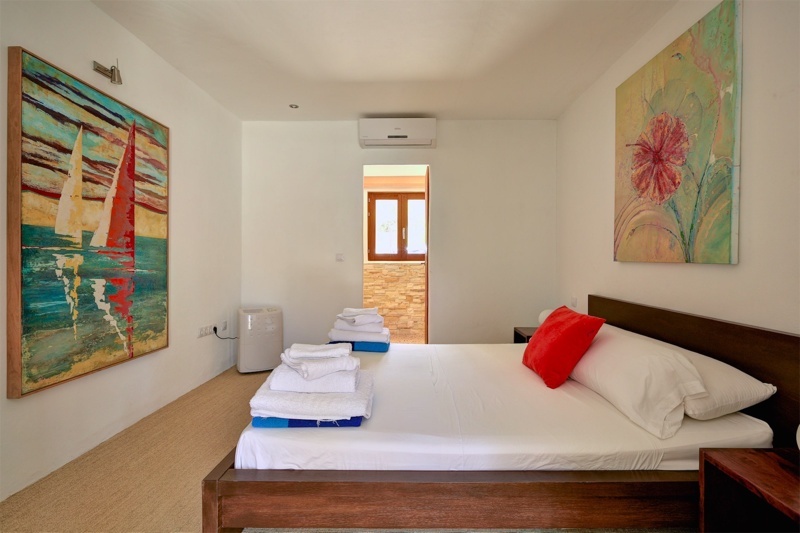 Across the pool area is an annex building, the ground floor of which consists of two bedrooms with ensuite bathrooms and a large beautiful terrace with sea view. 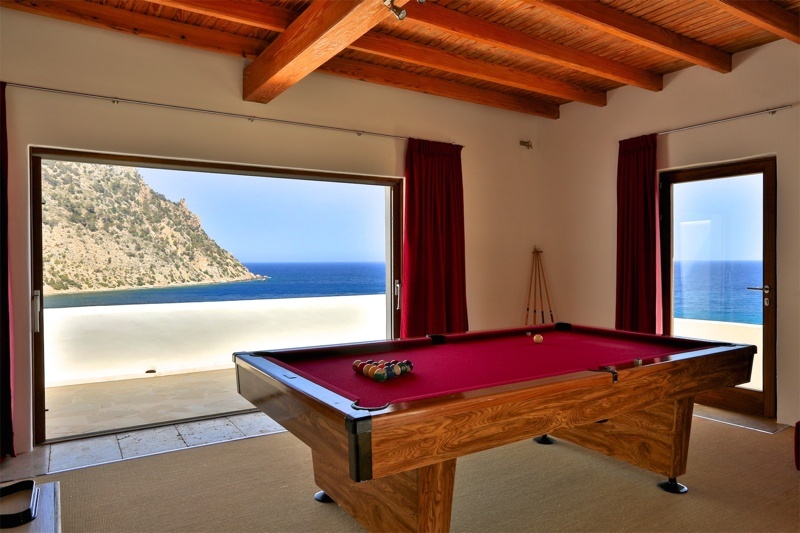 On the first floor there is a large room for entertainment which includes a television, xbox, billiard and another sofa bed. 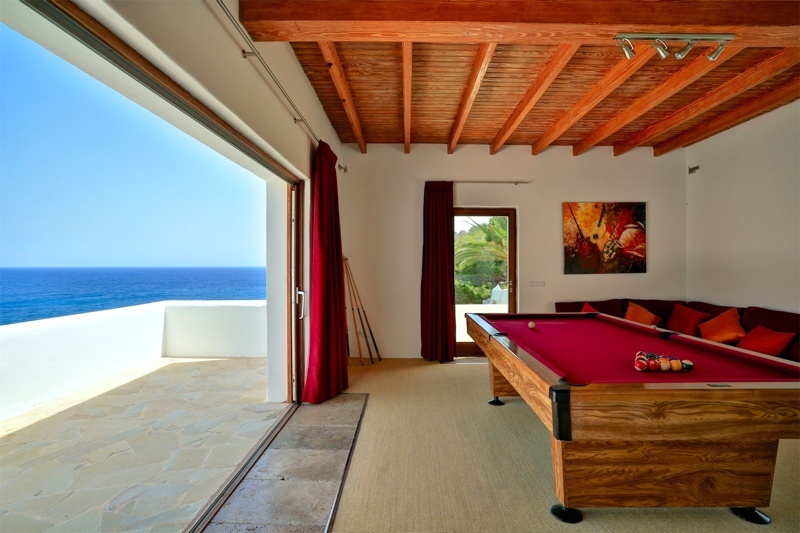 The property is alarmed and secure and extremely well located for beaches, restaurants and exploring the island.